I've been having trouble envisioning a style to make this game, and I finally was just like "dood, just do it in your style." 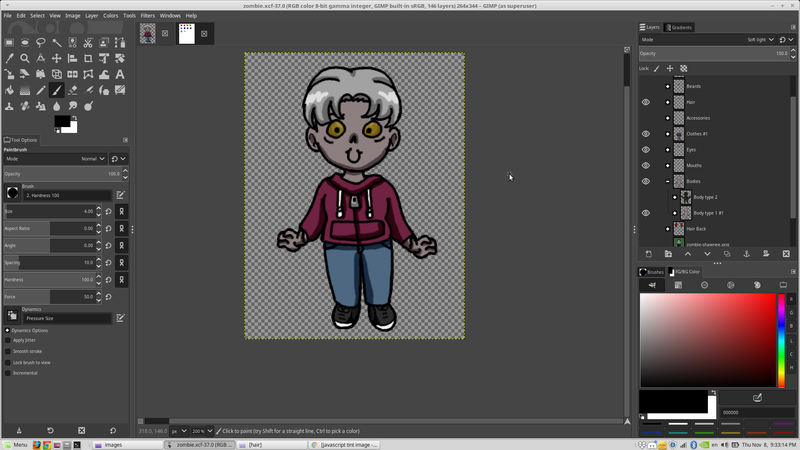 I'm still going to make UI elements very chibi, but the main game art itself will be in more of the style I draw my web comics in. I drew a new store thumbnail and banner to see how I liked it and I'm liking it pretty well! 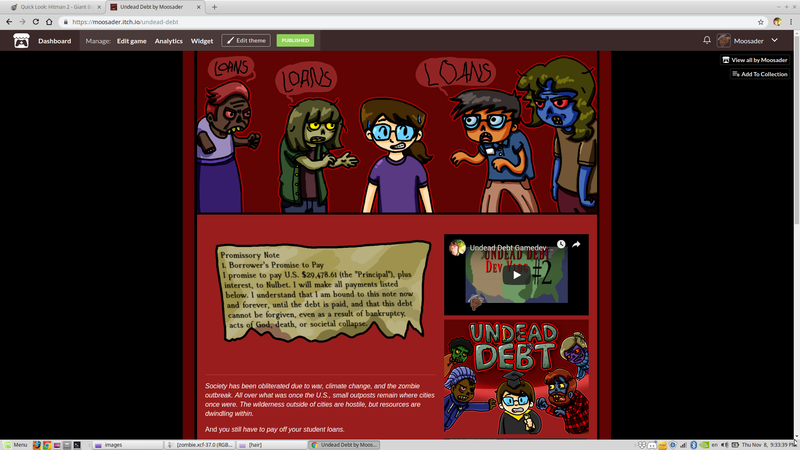 Spent a lot of time today working on zombie art for the Zombie Maker. Drawing different bases, hair styles, faces, and other things. 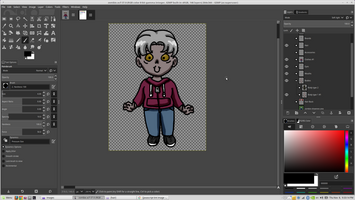 I'm not done yet - I still need to draw/color all the clothes, and the "behind hair" for long hair / ponytales / etc that go behind the sprite image, on a different layer from the top-of-head hair. 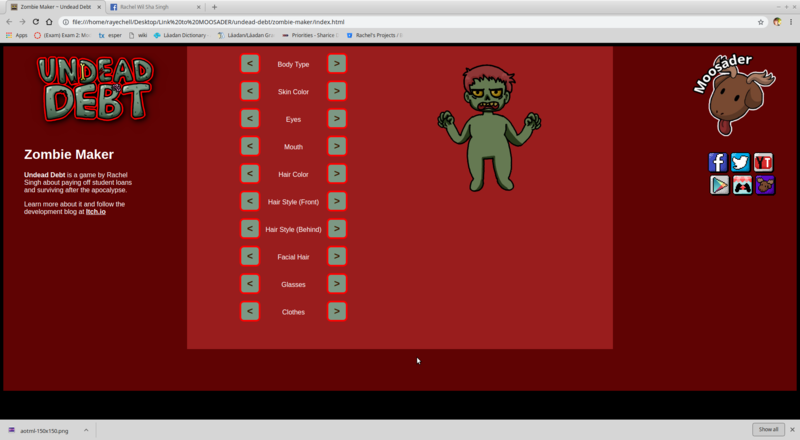 Reworking the Zombie Maker webapp again. 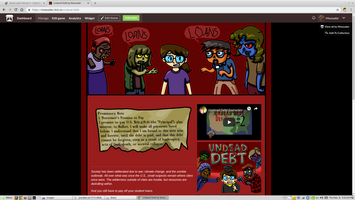 It's taking too long to bother with the Canvas stuff so I'm literally just displaying images on top of images to make the zombies. 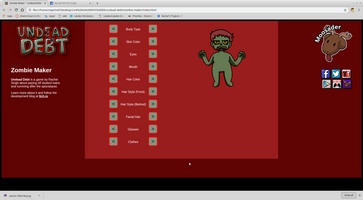 Also since I changed the store style, I changed the zombie maker style as well.